Analog, HD-SDI or IP technologies to professionally record and analyze events at home, business or at a large institution. Professionally engineered alarm panels, sensors, duress and perimeter protection for the comfort of your family or rock-solid asset protection. Trusted industry brands such as Honeywell, GE, DSC, 2GIG/Linear etc. Our professional UL-compliant CSAA Five-Diamond monitoring center provides 24/7 landline and cellular monitoring to signal the relevant authorities and provide you with a virtual presence at your home or business even while you are asleep. We offer full remote control of door locks, lights and thermostat controls utilizing remote apps driven off your web-browser, Android or iPhone. Our partners include Alarm.com, ipDatatel and Honeywell Total Connect. This gives us the ability to upgrade or takeover almost any existing alarm system and upgrade it to a home or office automation command center. We are constantly in search of new technologies which reduce home/business energy consumption; with resultant costs savings while providing users optimal control at their fingertips. From our Z-WAVE enabled thermostats and appliance control modules which set specific routines to conserve energy that can be controlled via your alarm system's app, to energy conserving and longer lasting LED landscape and security lighting, we endeavour to reduce your carbon footprint. From single door keypad access control to biometric and RFID access systems (including hotel door locks), we work with industry leading brands to secure, audit and integrate centralized access control into your business enterprise, school or institution. Our FingerTec biometric and time-attendance systems feature "cloud" based storage which permits remote access to employee statistics and remote features which simplify business processes and improve your bottom line. Our mission is to provide quality electronic security protection services, equipment and consultancy to assist in protecting you, your loved one, your home or business enterprise 24 hours a day, 7 days a week. 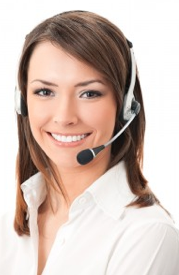 We pride ourselves in providing caring and responsive customer service by communicating with our customers on an ongoing basis and providing online, telephone and onsite technical support when needed. Given the technical nature of our systems there are times when due to not fault of yours or ours, your system may need repairs or servicing. We recommend preventative maintenance and for your convenience offer a variety of service plans. Email us at protect@aslsecuritypros.com for additional details on our warranty and service plans. Please call us at 800.348.5154 or complete the support request form for us to respond to your service needs. We typically respond by email or phone to all service requests within 1-2 business hours and most times on weekends and holidays.